What’s the best air purifier for smoke? Look inside for an option for any circumstance–from cleaning up after wildfire season, to keeping air fresh for daily tobacco users. Arguably the smartest option on the list, the AeraMax is designed for 24/7 use, with sensors that let it automatically adjust to changes in your air quality. A lighter weight and more affordable way to get the medical-grade filtration of the IQAir HealthPro series, though the lack of charcoal filtration makes it less effective for heavy smoke odors. 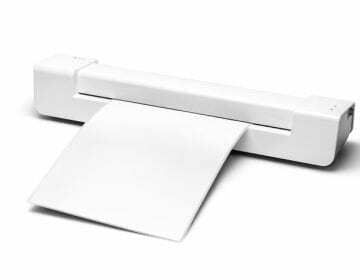 The most compact option on the list, the LV-H132 is small enough to fit on your bedside table but still has the power to remove smoke particles and odors. This little tower air purifier gets high marks for value, with both UV sanitation and carbon filtration for an impressively low price. An affordable option for cleaning the air in larger spaces, with a re-usable filter so you won’t have to buy replacements. This model works well and has a much more appealing look than most of your options, but at over $300, it’s not an especially good value. Living with a smoker, I know how long the smell of smoke can linger - and how tricky it can be to make it go away. A high-quality air purifier was definitely key in regaining fresh air in my home. 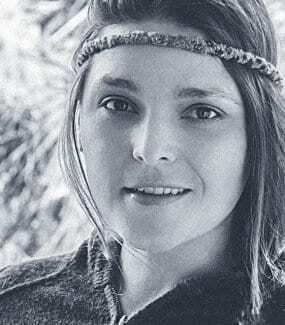 I hope the advice in this article can help you get the same relief. Whether it comes from using tobacco products or catastrophic events like wildfires, smoke is one of those contaminants that doesn’t leave your air easily or quickly. The best air purifier for smoke has to work through all these issues to be truly effective. While a good tower fan can lessen the irritation in the short term, the odor of stale smoke can linger for months. Even worse, the particulate matter left behind by smoke is small enough to get into your lungs, unlike the larger particles of irritants like pollen that stop at your upper respiratory tract. A lot of different factors come into play when you’re shopping for an air purifier. And the truth is, it’s an important decision. Because we’re talking about you and your families health. We’ve got you covered. Check out our favorite air purifiers below, with something on the list to satisfy pretty much every need. Construction quality is important no matter what you’re buying, and that was the first thing we looked at when we started our research. We dug into customer reviews and reports to make sure, not only that it works when you take it out of the box, but that it will keep working in the long-term. We also consulted with health experts to find out what kind of filtration works the best at removing the specific contaminants associated with smoke of different kinds. Finally, we looked at the features and relative cost of the different models, keeping a variety of needs and situations in mind. Using these factors together led us to the products and rankings below. The first thing to keep in mind is price isn’t necessarily an indication of quality when it comes to something like an air purifier. One of the biggest factors when it comes to determining the price is how much space the unit can cover. If you have a home with more spacious rooms—or if you’re buying the air purifier for a public space, like a restaurant or office building—it’ll be worth it to invest in a more powerful machine. If you live in an apartment, though, or only smoke in one room of your home, you can get air that’s just as clean from a less expensive, more compact model. Typically, the more expensive models will offer a wider variety of options when it comes to the type and level of filtration, as well as the degree of automation, but you can find a lot of similar features on smaller models at the lower end of the price range, too. The size of air purifiers can vary as much as the price. Some of them are small enough to fit on an end table—and others are likely to be the same size as your end tables. Generally speaking, the larger the purifier the more powerful the fan will be, which translates to a more efficient and more thorough cleansing of the air. Before you run out and buy a massive unit, though, make sure you have a place in your home to put it. Don’t just look at the actual dimensions of the device, but also look into how much space you’ll want to leave between the air purifier and the walls or other furniture in your room. There’s always a balance to be struck between power and efficiency. All of the models on this list offer different fan settings so that you can determine for yourself exactly how much power you need, but if you’re especially interested in saving energy, look for an option with an auto-shutoff feature or smart self-adjustment option. 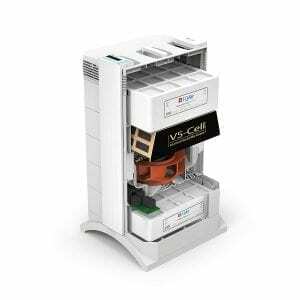 This will make sure you’re not running your purifier any more than you need to, saving both on your energy costs and the wear and tear on the unit. The question of noise will play into this as well. The more powerful the fan, the more white noise it’s going to generate. While no air purifier is completely silent (whatever the advertising copy claims), some of them will be much easier to ignore than others—something that will be especially important if it’s in the same room where you sleep. Shopping for a piece of equipment with a specific purpose in mind can actually make it easier to hone in on the features that you need. There are still quite a few decisions in front of you as you start your search, though. Every situation is different, but there are a few questions you should ask yourself before you start to shop. This might seem like an obvious one, but it’s also one of the most important things to pay attention to. 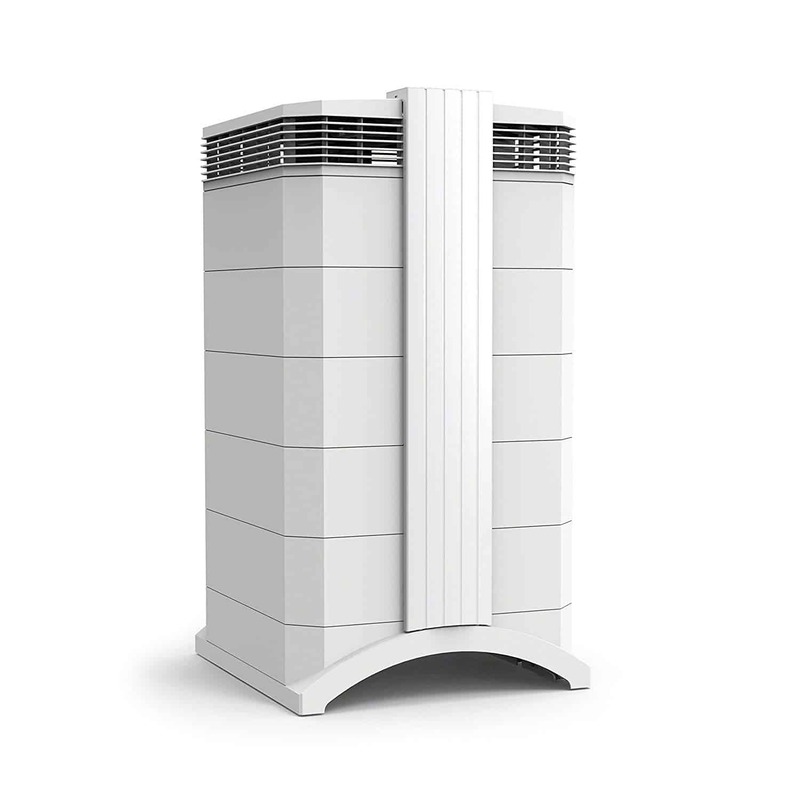 Some models are designed to continuously purify a large volume of air, while others are intended for smaller spaces. Air purifiers designed for big spaces, like the IQAir HealthPro Plus or the Alen BreatheSmart Customizable Air Purifier, tend to be big and heavy, and need a decent amount of open space around them to function properly. They also have a more powerful fan to draw in more air, so they use more energy and can be a bit on the loud side, especially if you’re using it in a tight space. A tower-style design can be a great fit for an apartment, bedroom, or other smaller space. 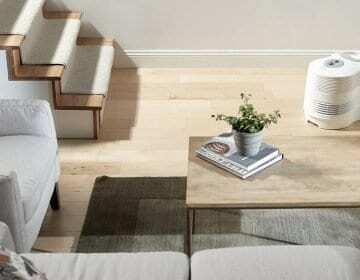 They have a very small footprint, letting them sit unobtrusively in a corner or on an end table. They also tend to be quieter—both the Environ Ionic Pro and the PureZone 3-in-1 Air Purifier are practically silent on their lower settings. Since smaller models tend to be a bit cheaper, too, there’s no reason to pay for more power than you need. What Kind Of Smoke Are You Dealing With? There are some compounds common to all kinds of smoke, but others are released only when a certain kind of material is burned. Think about the difference between the smell of a campfire and the smell of a cigarette. 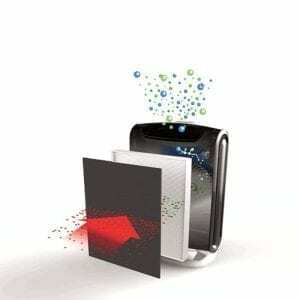 Those odors come from the unique combination of particulates contained in the smoke, and these different particles present different challenges for an air purifier. You might be surprised to learn that wood smoke contains more particulate matter than tobacco smoke—up to 12 times as much, according to the EPA. This includes smoke from fireplaces as well as disasters like wildfires. These particles can also be more carcinogenic, and can stay active for longer, having a bigger impact on your health. This makes it especially important to remove all traces of wood smoke from the air. Look for a model with a Turbo mode or high performance mode, like the Honeywell Allergen Remover. If you’re getting the air purifier to clear away tobacco smoke, think about your usage habits. Is there someone who smokes in the home daily, or is it more to air out the cigar smoke after the weekly poker game? For a room that sees daily cigarette smoke, continuous operation is a more important feature. Something like the AeraMax 290 might be especially appealing, since it will automatically adjust the fan settings to match the air quality in the room. Do You Want An Ionizer? An ionizer is a device that uses electricity to charge particles, which it then emits into the air. These charged particles attract pollutants already in the air, helping to neutralize and remove contaminants. The main reason for their popularity is they can remove particles that are too small for most filters to capture. Considering smoke tends to include some of the smaller particles of all the common air contaminants, this can be a great benefit in an air purifier bought with that explicit purpose in mind. There are other benefits to an ionizer as well, and some people even feel they can improve your mood or give you more energy. Negative and positive ions exist naturally all around us. Negative ions are found frequently near rushing water, like heavy rain or flowing rivers, and may be a large part of why “getting some fresh air” can make you feel better. Ionizers are a source of some debate in the air purification community. No one argues they work to cleanse your air, but some people feel they’re not as beneficial for your health. 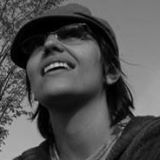 The main complaint against ionizers is they produce ozone, a chemical variant of oxygen that can react with other chemical compounds in nasty ways. Some cleaning supplies can create formaldehyde when mixed with the ozone from an ionizer. That’s one of the compounds used for embalming and preservation of researching samples—not something you want to be breathing in your home. Aside from unintended bonding, the ozone particles themselves are a point of concern for some. While they’re perfectly safe for the majority of people to breathe in—ozone is one of those particles that already naturally exists in the air you breathe, in some quantity—for those with asthma and other breathing conditions, they can exacerbate symptoms. Breathing ionized air may also impair your immune system, making it more difficult for your body to fight respiratory infections like the cold. There are other down-sides to ionizers, as well. Since they interact with contaminants directly in the air, rather than through a filter, those particles still have to go somewhere once they’re neutralized. An ionizer doesn’t remove the particles from the air like a filter would, so you might still end up breathing them in—even after they’ve been neutralized. 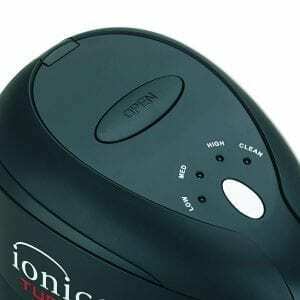 Ionizers also produce a noticeable odor. It’s not very strong and also not entirely unpleasant—it’s a definite improvement over stale smoke or the smell of your cat’s litterbox—but some people feel ionizers miss the point, since they just replace one smell with another. Here’s the deal, ionizers alone aren’t enough to purify your air. They function entirely based on the idea of electrical charge. They will only attract and neutralize positively-charged particles, not those that are neutral or negatively-charged. This means they can’t take care the most significant odor-causing compounds in smoke, and won’t have much effect on other common airborne irritants, like dust and pollen. The long and short of it is the verdict is still out on ionizers in the medical and scientific communities. Among consumers, some swear by them and some have sworn off them. Most air purifiers that come with an ionizer will allow you to turn it off, so you won’t be locked into using it all the time. Still, since the majority of air purifiers will at least feature an ionizer option, it’s something to consider carefully as you’re shopping. What Other Contaminants Do You Want To Remove? Just because you’re focused on an air purifier to remove smoke doesn’t mean it can’t serve double-duty. Charcoal filters are just as effective at removing other odors. Cooking smells leave your house stinky? 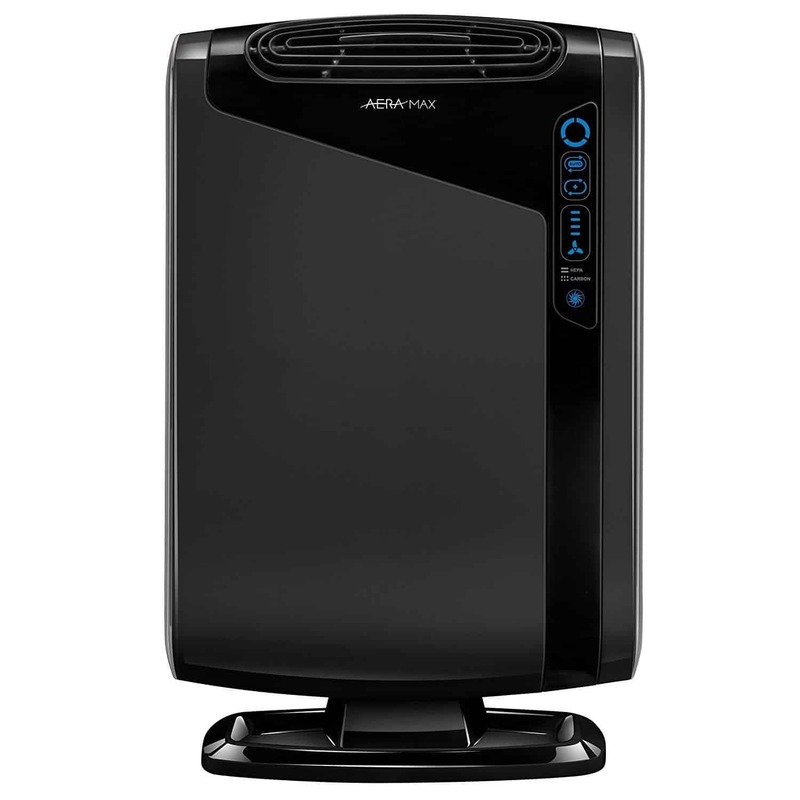 Get an air purifier that emphasizes odor neutralization it will help with a whole host of problems. Similarly, most other allergens are on the larger side. The level of air purification you need to eliminate smoke will remove any contaminants that are visible to the naked eye, including pet dander and pollen. It will also catch mold and mold spores, which range from 3 to 30 microns, along with the majority of fungus and bacteria that’s commonly found in homes. This is one advantage to the fact smoke is one of the trickier air quality problems to tackle. Anything that works for smoke is likely to work for pretty much anything else. The only thing these purifiers can’t promise is they’ll eliminate germs. 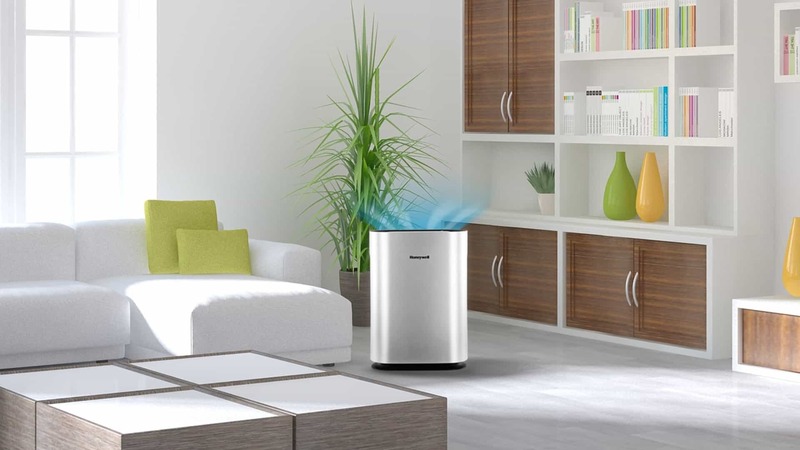 If you want that feature, look for an air purifier that goes a step further and actually sanitize your air. This is less about capturing bacteria; as we said, most bacteria are larger than .3 microns and will get captured by any HEPA filter. 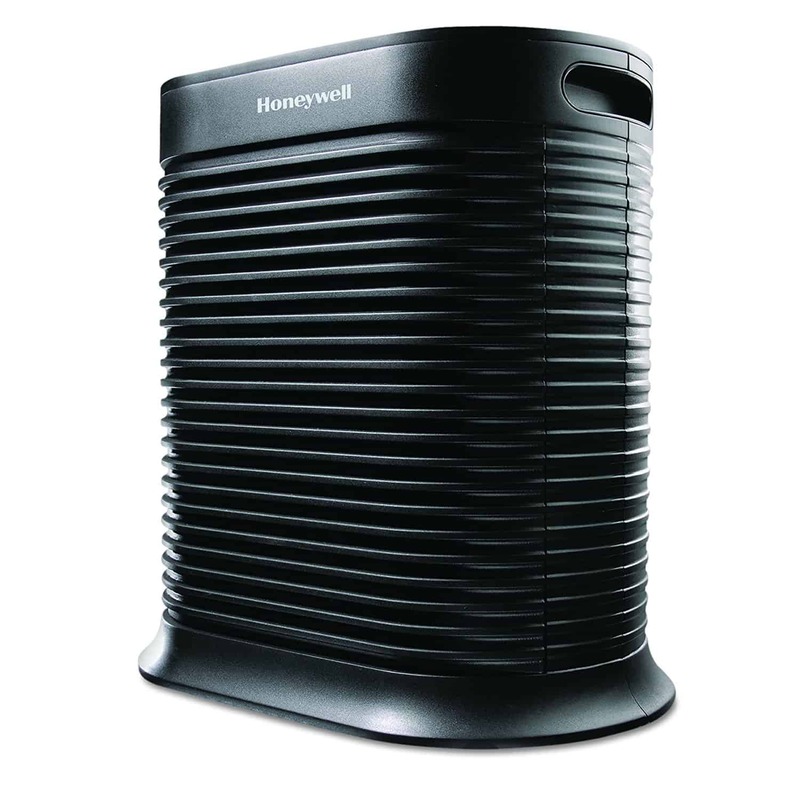 There are a few especially tiny strains, though, that can escape many air purifiers. Viruses are even smaller, and they won’t get captured by the majority of filters (though some, like the IQAir models below, can capture contaminants even as small as .003 microns). Since viruses are responsible for many common ailments, including the flu and the common cold, this limits the effectiveness of air purifiers for reducing the spread of germs. To combat this, air purifiers like the AeraMax use an anti-microbial treatment on the air after filtration that’s designed to kill any microorganisms. You can also find models that offer specialized filters that are treated to be antimicrobial. They may not capture viruses, but the treatment will still kill them as the air they’re traveling in passes through the filter. As you might expect, these filters (and the purifiers that use them) do tend to be on the higher end of the price spectrum. Again, there is some debate on how much good these kinds of antimicrobial treatments actually do. 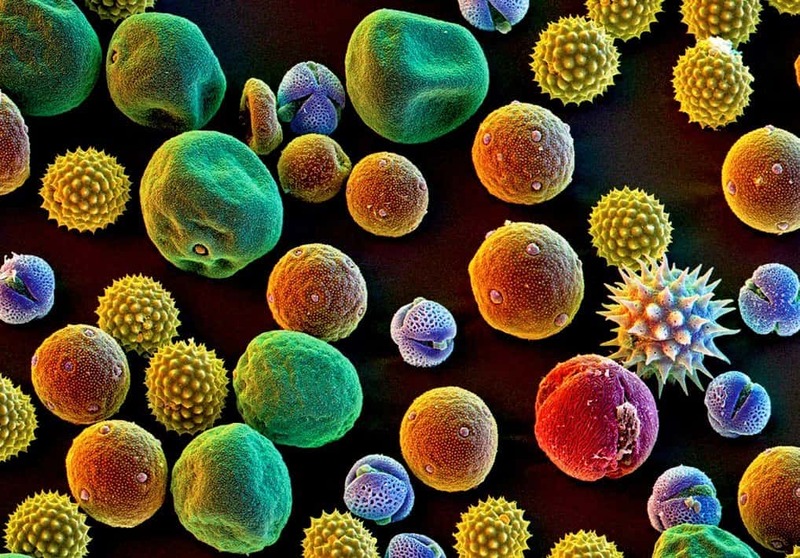 Because they’re so small, it’s very difficult to test for the presence of viruses in the air; the sensors that indicate air quality on many air sanitizers may not even detect viruses. Others make a similar argument against these treatments that they do against ionizers. The whole point of an air purifier is to reduce the amount of particulates in the air you’re breathing, not to introduce new compounds, even those added with good intent. Ultimately, it’s up to you to decide if this is an extra feature you’d like your air purifier to include. IQAir air purifiers are some of the most highly rated and frequently recommended options out there, and with good reason. The combination of top-level filtration with user-friendly features makes them an ideal choice for tackling a wide array of common air contaminants, including smoke. It’s also highly recommended for allergy sufferers and can help alleviate symptoms for a whole host of breathing-related ailments. The secret to the HealthPro Plus’ next level filtration is its two-stage process. It first uses a microfiber pre-filter, followed by the standard HEPA filter. This not only lets it remove more contaminants from the air (nearly 100% of particles as small as .003 microns) it also extends the life of your filters. The way the HealthPro is designed also makes it very efficient, which you can translate to mean less energy use and a quieter operation. The filters are also triple-sealed so you know no air is going to escape without passing through the filtration system. It also uses charcoal in the filtration, which is very effective at eliminating odors. The HealthPro Plus is definitely not small or cheap. The charcoal filtration adds some extra weight, and it’s a solid, sizeable piece of equipment with a fairly industrial look about it. Unlike some of the options on this list, it doesn’t come in a variety of colors or blend in with your home décor. In terms of price, it’s also going to set you back quite a bit more than what you might expect from a home air purifier. For that extra investment of space and money, though, you’ll get a professional-grade air purifier that will eliminate smoke smells so thoroughly it’s like they were never there, and that’s surprisingly easy to use given the amount of power it puts out. Alen takes its motto of “Pure air for life” seriously. 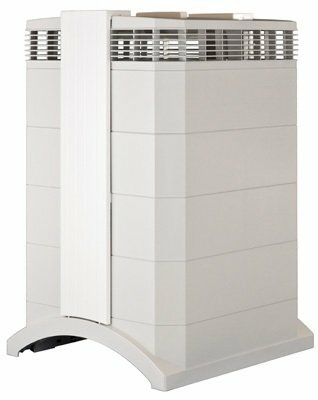 Their sole focus is on air purifiers and filters, and they’re experts in their field, taking advantage of the most modern technology and quality construction techniques to give consumers a product that will last for years—guaranteed. The limited lifetime warranty that comes on all of their products is proof of their confidence in the quality of their air purifiers. 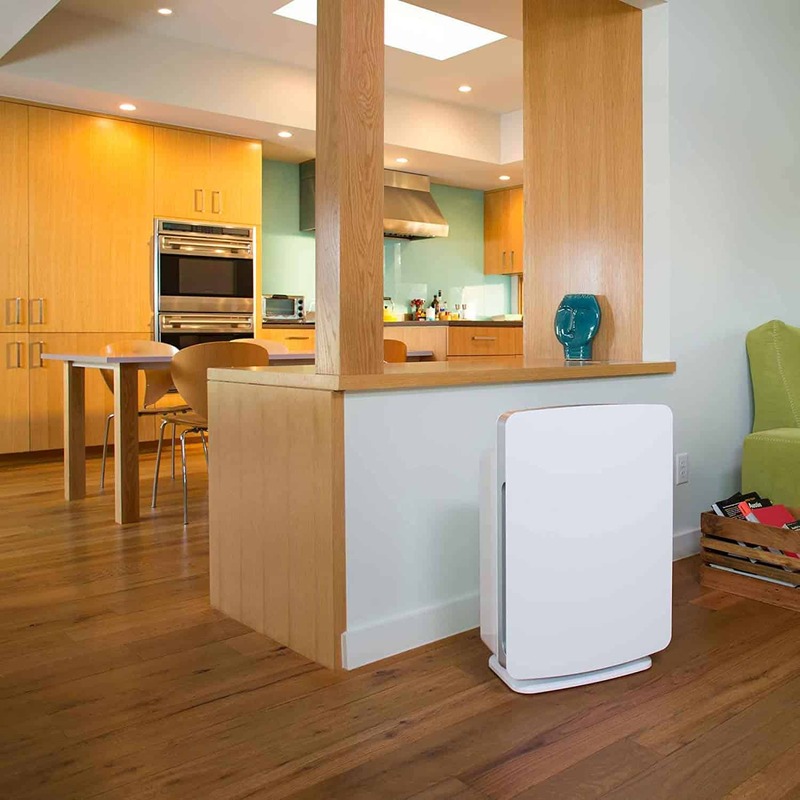 The Alen BreatheSmart is a powerful air purifier designed to freshen entire rooms, up to 1,100 square feet in just a couple of hours. This makes it a great option for homes with open floor plans, but also gives it the versatility to work for offices, restaurants, and other public environments. It can cover this large area thanks to its super-powered fans, which blow air all the way up to the ceiling and circulating the air in the entire room. We also liked that the BreatheSmart gives you options. It’s both smart and customizable. If you put it on auto mode, it’ll use its suite of smart sensors to assess and improve the air quality. You can also see the readings for yourself and make adjustments manually. The four different filters that come included give you a range of options, from odor control to allergy relief. The OdorCell filter is especially great for smoke, destroying the odor-causing particles at the molecular level to truly eliminate the smell. 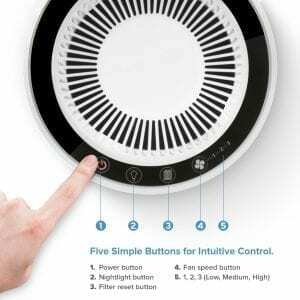 Alen Air Purifiers are some of the most attractive on the market. They’re designed with just as much attention to detail on the aesthetic side of the equation as they give to the inner workings. It comes in over a dozen different colors, and the sleek, compact housing will blend right in to any room. If you’re looking for the ultimate in style and functionality, the Alen BreatheSmart should top your list. A lot of times getting a good value means sacrificing performance, but that’s not the case when you get the PureZone 3-in-1 Air Purifier. 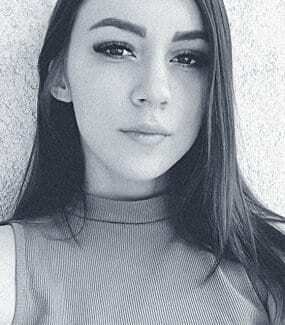 It’s put out by Pure Enrichment, a relatively new company founded with the goal of creative attractive, high-quality air treatment that’s priced in a range anyone can afford. No product demonstrates this mission quite as well as the PureZone Air Purifier, which gives you reliable performance and a solid build. Unlike some of the other options on this list, the PureZone only uses one filter—but that one filter does the work of three, combining the standard pre-filter, HEPA filter, and carbon filter combination into one product. You might think this would lower the quality of each filtration level, but that wasn’t our experience. If anything, it just makes the unit easier to maintain, since you won’t have to worry about installing multiple filters, or which filters need to be changed when. This also lowers the long-term costs of the PureZone, since the replacement filters only cost around twenty dollars apiece. The PureZone also has the user-friendly features you’d expect from a more expensive air purifier. It has an adjustable three-level that gets down to an impressive 30 dB on the lowest setting. It can also be set to shut off automatically after a specified length of time, saving you both power and filter life. The inclusion of a UV light for sanitizing the air is really just the icing on the cake. Our only minor quibble with this model is that it does have a pretty powerful plastic smell when you first unbox it. This will fade with time and use, but it is unpleasant and somewhat ironic for a piece of equipment designed to get rid of odors. When it comes to smoke odors and particles, the proven combination of charcoal and HEPA filtration does the trick. Honeywell makes a wide array of products to improve your home, with a focus on smart products that integrate advanced programming and intelligent design into common household tools. They’re perhaps best known for their line of smart thermostats, but their appliances are designed with the same attention to detail. Their line of air purifiers gives you an option for every room size, all of which sell at a very reasonable price, considering the build quality and functionality. The True HEPA Allergen Remover is aimed at eliminating particle pollution—in other words, the microscopic contaminants that are 10 microns or smaller. These tiny particles are too small to see but can make a big impact on the quality of your air. Since smoke particles are some of the smallest contaminants, this makes the Honeywell Allergen Remover especially useful for smoke control. The Honeywell Allergen Remover is focused on contaminant removal rather than odor control. You’ll probably notice that your air smells fresher because it’s more pure, but it will be less effective at removing set-in odors than some of the pricier models on the list. For fresh smoke, though, the strong fan operation will take care of it easily. This is especially true when it’s on Turbo mode and can purify the air in a living room or bedroom up to five times every hour. This isn’t the most powerful purifier—but it just might be the easiest to use. You don’t need any special tools to change the filter and the controls are simple and easy to read. 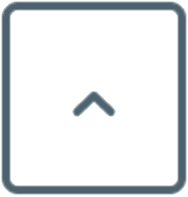 There’s even an auto shut-off feature that will power the purifier down after a specified length of time. You really can just set it and forget it, and you’ll notice a difference in your air pretty much as soon as you start using it. The AeraMax line from Fellowes features an option for pretty much every room size and user situation. While they’re all built to the same quality standard and feature a similar range of features, we’ve decided to highlight the AeraMax 290 here because we feel like it strikes the best balance between power and value. Fellowes designed the AeraMax 290 to stand up to continuous use. It’s designed not just to remove odors and contaminants from the air but also to maintain your air quality in the long-term, making it a good choice for regular in-home smokers. There are four fan speed levels ranging from Low to Turbo. 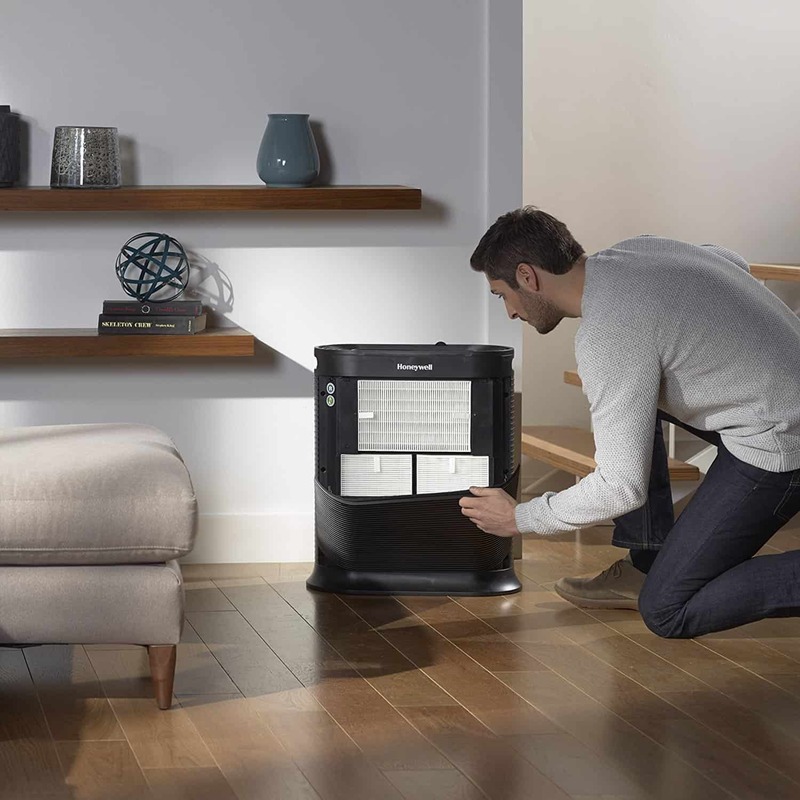 An adjustable fan is a feature you’ll find on most air purifiers, but maybe our favorite thing about the AeraMax is that it uses on-board sensors to adjust the fan automatically, saving you energy while still keeping your air clean and fresh. If you do want more control, you have the option. Lights at the top of the display panel will tell you the current quality of your air, and there are controls below to toggle auto mode on or adjust the fan speed manually. The AeraMax also has a high performance mode for air quality danger times, great for seasonal allergy sufferers or those who live in wildfire-prone regions. The filtration in the AeraMax uses a four-stage process. There’s an activated carbon filter for odor control and a HEPA filter for capturing airborne pollutants, with antimicrobial treatment for both the filters and the air. The filters will need to be changed every few months, but there’s otherwise no maintenance to worry about. If you want absolutely pure air and don’t want to have to think about it, this is the ideal air purifier for you. 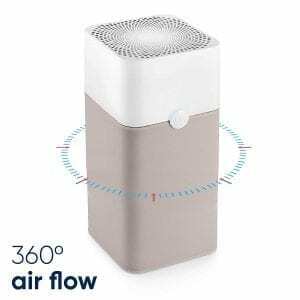 The HealthPro Plus reviewed above is the top of the line as far as what IQAir has to offer, but it’s not your only option from the company if you’re shopping for a great air purifier for smoke. The HealthPro Compact is from the same product line and gives you the same medical-grade filtration power that’s perfect for allergy and asthma sufferers, with a few key differences. Now when this model says it’s compact, that’s relative to the other options in the HealthPro line. It doesn’t include the charcoal filter that you’ll find on the other HealthPro air purifiers, which makes it about ten pounds lighter. The dimensions are also slightly smaller, making it less obtrusive in your space, although it’s definitely not what you would call small. The flip side of this is that it only uses two filters, instead of the three that are on the HealthPro Plus. The pre-filter and HEPA filter are still enough to clean smoke from the air and remove most of the odor, but won’t be as effective against heavy smoke smell as the larger versions. 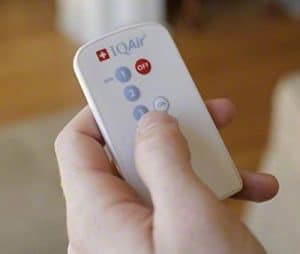 Having said that, if you’re getting the air purifier to remove irritating particles from the air, this will work just as well as the other IQAir models. Of course, one of the first differences you’ll notice between the HealthPro Compact and the other options in the product line is the price. It’s about a hundred dollars cheaper than the HealthPro Plus—a pretty significant difference. If you don’t need the deep cleaning power you’ll get from a charcoal filter, this is a great way to get professional filtration for an impressive value. 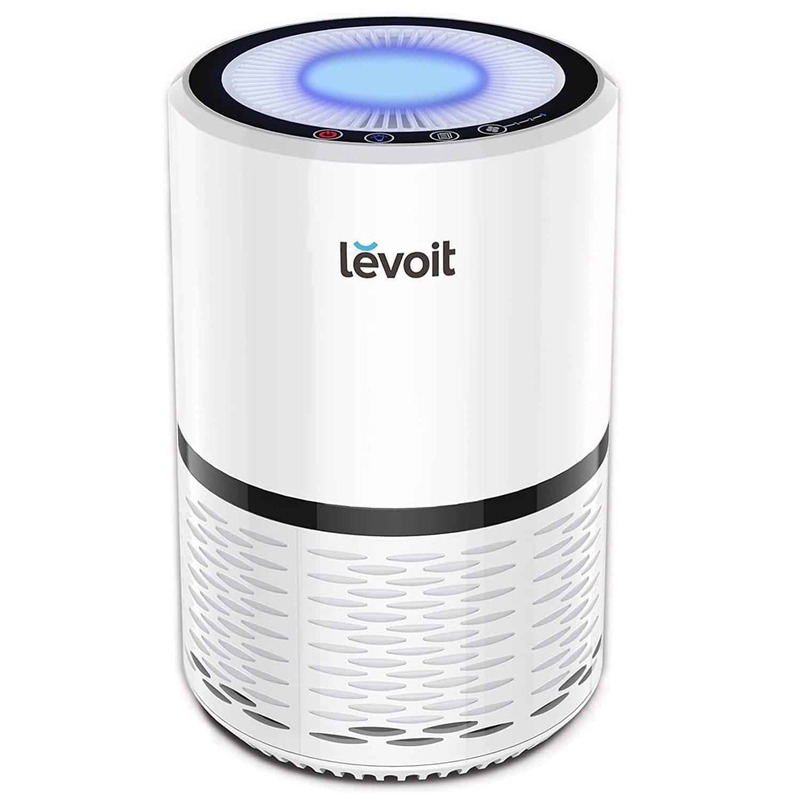 A lot of air purifiers claim to be compact, but the LV-H132 from Levoit really means it. At just over a foot tall, it’s the smallest air purifier you’re likely to find, light and compact enough to use on a bedside table. This makes it the perfect choice for dorm rooms and apartments. Don’t be fooled by its small size, either. It can provide powerful multi-stage filtration on par with models that are twice the size (and price). The LV-H132 uses a three-stage filtration system. It starts with a preliminary fine filter, followed by a true HEPA filter, and finishing with an active carbon layer to break down stubborn odors. It also has three different fan speeds, so you can set the level of filtration that you need. It’s an ideal option for a bedroom, not just because of its size and near-silent operation, but also because it includes a night light feature. As you might guess from the small size of this model, it’s not designed to take care of big rooms. If you want to cleanse the air in a space larger than your typical bedroom or home office, you won’t be able to do it with the LV-H132 (at least not if you want to do it all at once). For smaller spaces, though, it’s a perfect, unobtrusive way to remove contaminants and eliminate odors. 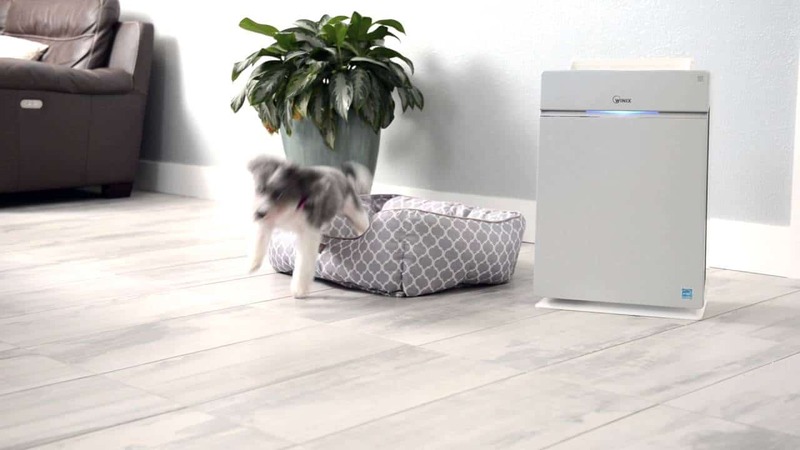 It’s also great for regular maintenance of your air, preventing the accumulation of dust, dander, and pollen that can aggravate allergies and lead to congestion. Charcoal filtration is key for getting the ultimate in odor reduction, whether those odors are from pets, smoke, or the food you cook. While most air purifiers with a carbon filter are in a higher price point, you don’t have to spend a fortune to take advantage of their smell-killing power. This 3-in-1 air purifier from GermGuardian gives you access to that next level filtration power for less than a hundred bucks. The activated charcoal used in the GermGuardian Air Purifier is in the pre-filter stage. This is also the area that captures pet hair, dust bunnies, and other larger particles that can reduce your home’s air quality. Considering the pollutant levels in indoor air can be 5 to 10 times those of air outdoors, this can really help you to breathe easier. 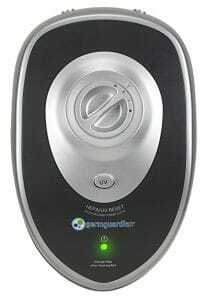 The GermGuardian doesn’t just filter your air, it also purifies it. It titanium dioxide activated by UV light to kill micro-organisms that are lurking unseen in your air. This could be things like germs, viruses, and bacteria, including common infections and illnesses like the flu or staph, as well as mold spores and other typical household ailments. 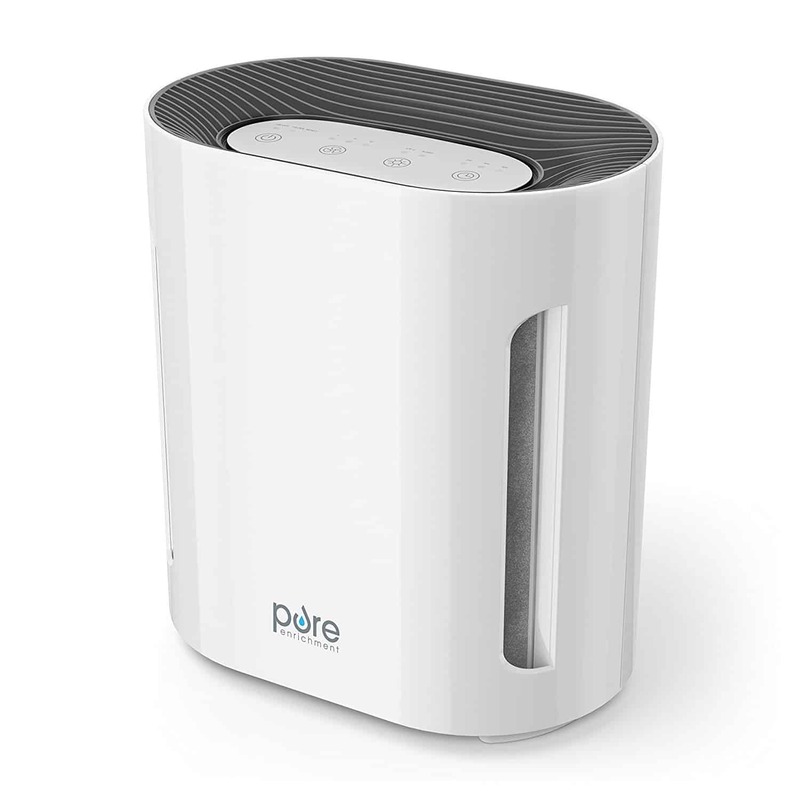 This air purifier is designed for use in small and medium-sized rooms. It’s not going to work as well in large spaces as some of the heavier-duty options on the list, but it’s also much smaller—less than ten pounds, with a convenient tower design that makes it easy to move from room to room. If you’re looking for an all-purpose air purifier to remove smoke from an apartment or small home, the GermGuardian can fill that role, and at an exceptional value. Tower-style air purifiers are great in a lot of ways. They’re convenient, unobtrusive, and effective at treating the air around them. Their range, though, does tend to be more limited—they’ll need to be moved around a few times to treat all the air even in medium-sized rooms. That’s not the case with Environ Ionic Pro Turbo Ionic Air Purifier, whose super-powered fan can quickly clean the air in rooms as big as 500 feet. This would be the perfect air purifier for an office building because it’s efficient, relatively quiet, and doesn’t require much maintenance. These same qualities make it a great choice for a living room, game room, kitchen, home gym, or other more open spaces in the home. It’s very effective at removing smoke odors quickly, and it can remove about 99% of the contaminants from your air. 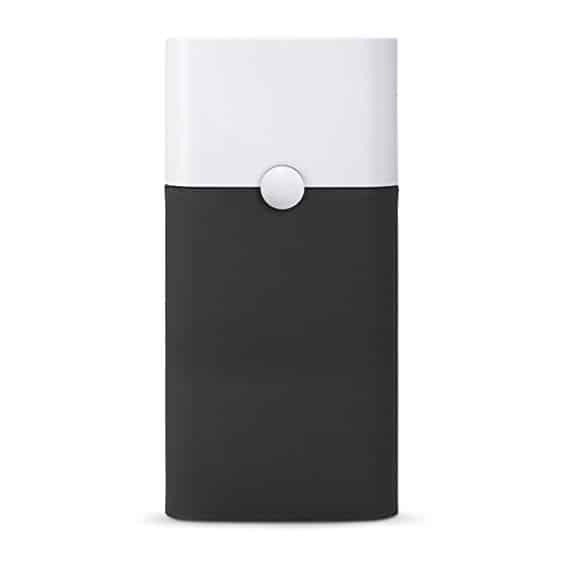 Like most air purifiers in the price range it captures microscopic particles as small as .3 microns, which will remove most (if not all) of the irritants in smoke. The Environ Ionic Pro promises absolutely silent operation, and it is exceptionally quiet—as long as it’s clean. The more dust that accumulates on the blade, the noisier it will be. While this does make it easy to tell when it’s time to clean your machine, it can also be kind of annoying if you don’t have time to get to it right that moment. While the collection blade is easy to access and remove, the process of cleaning it is more involved than simply swapping out the filters on other models. Considering how bulky and expensive other filters can be, though, it’s a worthwhile trade in our book, especially if you’re looking for an air purifier that’s a bit more eco-friendly. The Blue Pure from Blueair is, in our opinion, the most stylish air purifier you can buy. The two-color retro-inspired design will add a nice mod-inspired décor touch to any room. While it is a fairly large air purifier—about the size of a typical end table—it’s nice enough to look at that you probably won’t mind the size. It’s unobtrusive otherwise, too, with a fairly quiet operation and low energy usage—only as much as a 60-watt bulb, even on its highest setting. 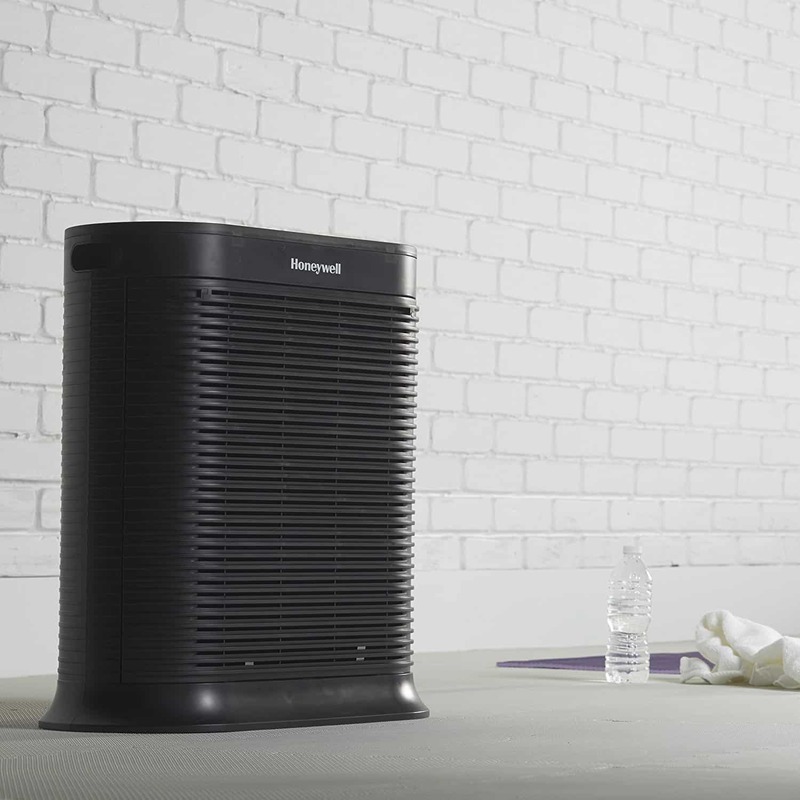 The only down-side of the stylish look of this air purifier is the corresponding hike in price. You can get a similar performance from air purifiers that cost half as much. The Blue Pure does give you a slightly larger coverage area than most cheaper options, but you’re definitely paying for the aesthetic appeal more than you are for the expanded function. That’s not to say this isn’t a good air purifier. It uses a similar carbon filtration to other options on the list, and is very effective at eliminating smoke odors and removing microscopic particles from the air you breathe. It’s also a very efficient model, both in terms of operating speed and energy use. It’s Energy Star rated and 60% more efficient than most air purifiers, using about as much energy as a light bulb even on its highest setting. 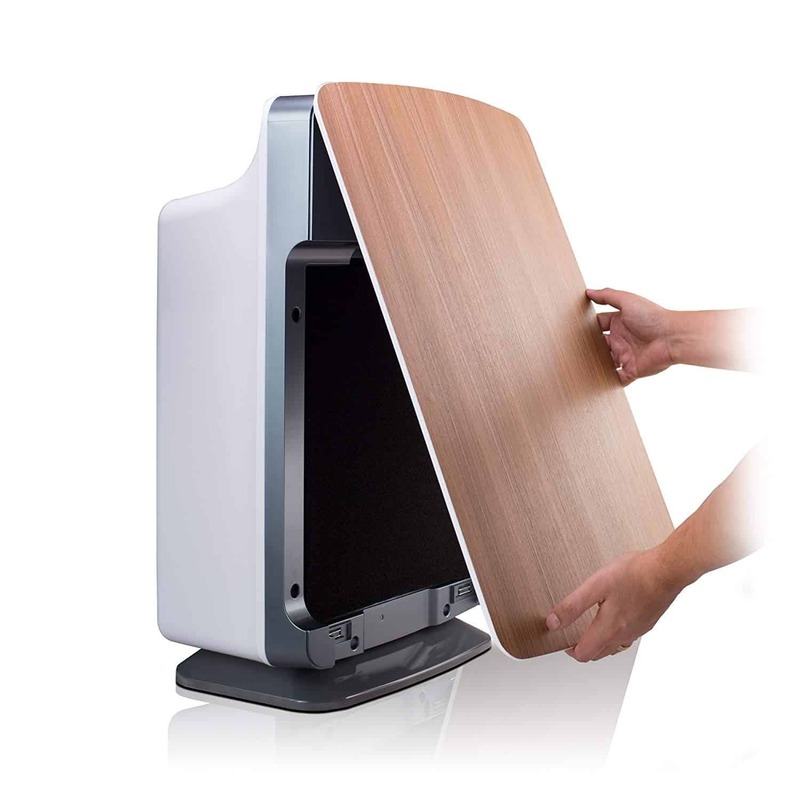 What it ultimately comes down to is how much you care about the look of your air purifier. If you want it to be something you’re proud to have on display, the Pure Blue is a good choice. If looks don’t matter, you can save yourself a couple hundred bucks and get similar performance from another brand. The filter on an air purifier is a crucial aspect of its overall operation. Without the filter, an air purifier is just an expensive fan. The bulk of the device is focused on pulling in the air so that the filter can do its work. Understanding the different filter types and how they work can be a huge help in deciding which style is the right fit for your needs. We should take a quick second to talk about air purification filters in general. Air purifier filters are not standardized across the industry. In other words, even though they’re all doing basically the same things, there aren’t set sizes and dimensions. A filter made by Honeywell isn’t necessarily going to work on a device made by IQAir (and in fact probably won’t). What this means for you as the consumer is that you can’t find generic versions or off-brands of the replacement filters that you’ll need for your device. Even if you find one made by another brand that looks like it’s the same shape to the naked eye, there could be small differences that prevent it from being airtight. Any gaps where air can escape will lessen the effectiveness of your purifier since that air isn’t going through the filter. Basically, you should only use replacement filters that explicitly state they’re made for your device. Keep this in mind as you’re comparing prices. Don’t just pay attention to the up-front cost of the air purifier. Dig around to see how much you’ll have to pay to get the replacement features, and also look at whether the device comes with any replacement filters, then include these numbers in your calculations. An air purifier that’s a bit more expensive upfront may end up being cheaper in the long-term once you do the math. The good news is, most filters in air purifiers last several months, and in some cases several years, so you won’t need to shell out the dough for new filters very often. A lot of the models reviewed above boast multi-stage filtration, with a combination of carbon and true HEPA filters at work concurrently. To understand why—and exactly what this means for your air—means knowing a bit more about the types of filtration used in air purifiers. Since it’s common for air purifiers to use more than one type of filtration, some companies will combine them into a single filter replacement unit. This has the benefit of convenience, since you won’t need to worry about checking on and replacing each of your filters separately, but it can also have drawbacks. Carbon filters only last about half as long on average as HEPA filters, but if they’re combined in the same unit you’ll have to replace both when the carbon filter dies—a bit of a waste. The terms around air filtration can get a bit confusing, especially when it gets into HEPA filters. The explanations below should help to clear the air. 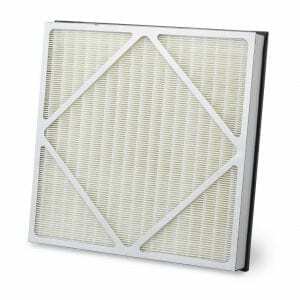 HEPA filters are in fact not a type of filtration but a label of the filter’s efficiency. HEPA stands for High Efficiency Particulate Air, and is a standard set by the U.S. Department of Energy regarding both the quantity of particles removed from air and the size the filter can trap. To be labeled as HEPA compliant, a filter has to capture 99.97% of airborne particles, and has to be capable of capturing particles as small as .3 microns. This is just as impressive as it sounds. It means of every 10,000 dust particles, mold spores, or microorganisms in the air, only three manage to pass through the filter. In terms of particle size, “micron” is short for micrometer, a measurement equivalent to a millionth of a meter. For context, a red blood cell has a diameter of about five microns. Viruses and some bacteria are smaller than .3 microns, but not a whole lot else. The material used in this kind of filter can vary, but it’s typically some kind of densely-woven fiber, forced together in tight layers. This allows the clean air to get through but stops anything that was suspended in it. The biggest factor in the lifespan of a HEPA filter is environment—the dirtier your air is, the more stuff the filter will collect on each pass and the more often you’ll have to replace it. Even in heavy use conditions, though, HEPA filters can work for a while before they give out. They’ll typically need to be replaced every 6-12 months. If you see something that’s labeled as a True HEPA filter that simply means the filter is confirmed to comply with the guidelines for efficiency outlined above. This is something that’s been popping up in product descriptions recently in response to companies labeling their filters as “HEPA-type” even though they don’t meet the standards for the label. The reason the labeling can be confusing is that not everyone goes by these standards. Some filters that are simply labeled as HEPA are exactly that, even if they don’t include the “true.” If you see something that’s labeled as “HEPA-type” or a similar variation of that—especially if there are no stats on the product page indicating its effectiveness—be wary. Otherwise, though, HEPA and true HEPA can be taken to mean the same thing. Carbon Filters, or activated carbon filters, contain a layer of porous carbon that absorbs contaminants. 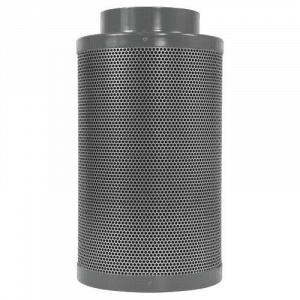 Activated carbon is one of the least dense substances out there, and the carbon used in these filters is further treated to increase the surface area to weight ratio. Carbon filtration can be found in both air and water purification systems, and in both it works the same way: contaminants stick to the porous carbon and are trapped inside, while the clean air or water passes through. Carbon filters are often used in conjunction with HEPA filters for two reasons. First, they can catch a lot of the larger particles in your air before they get to the HEPA filter, extending its life and increasing its performance. Second, they can capture some particles that HEPA filters don’t, especially those that are responsible for lingering odors. An activated carbon filter will be a bit more effective than a carbon filter, as it will have a higher surface area to weight ratio. Activated carbon filters also tend to last a bit longer, though in any case a carbon filter has a shorter lifespan than a HEPA filter. You should expect to replace your carbon filters about every three months. 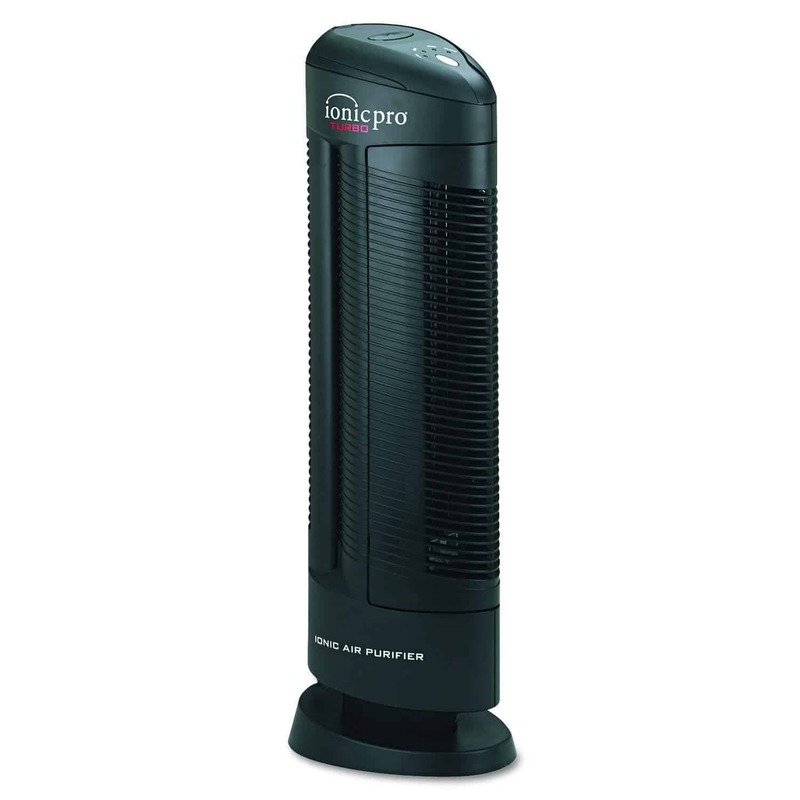 Both carbon and HEPA filters have their strengths, and the work especially well together. The most effective air purifiers are those that take advantage of both types of filtration. The user manual for the air purifier will tell you exactly what each filtration stage does and what kind of filter it uses. In our opinion, the ideal configuration uses a carbon filter first, followed by a HEPA filter, but you may find a variety of other set-ups that fill your needs just as well. Buying an air purifier can be a tricky process, especially when you’re shopping for one for a specific purpose, like smoke removal. Now that you’ve gotten the skinny on the top models (and what makes them so good), you hopefully have a better sense of exactly what you’re looking for and what kind of air purifier will fit your needs. The right air purifier for someone else might not be the right one for you. The size and configuration of your space and the type of smoke you’re trying to eliminate are important factors when you’re shopping around—arguably as important as any of the features of the device itself. Having said that, of course, you do want to make sure you get a durable air purifier that will clear your air for years to come. You can trust that any of the ten models above is designed to last, and they’re all backed up by warranties that let you use them with confidence. Of course, money always plays a factor. Even if you’re not on a strict budget, you always want to get something that’s a good value. The best way to save yourself money on an air purifier is to buy one designed for the amount of space you need. There’s no reason to spend over five hundred bucks for an air purifier that’s going in a small bedroom. On the other side of that, give yourself a bigger budget for a bigger space, or you’ll end up disappointed with the results. Lifestyle always plays a factor in the choice, too. If you’re sensitive to noise, steer clear of larger, louder devices, or look for options that have a quieter setting. There’s also nothing wrong with spending a bit extra to get an air purifier you like to look at, either. Especially if you plan on using it continuously, it’s going to become a permanent fixture in your home. If décor is important, there are options that will give you clean air without being an eyesore. Have you figured out a secret to keeping the air in your home clean? And how do you feel about ionizers—are they a help or just another hazard? We’d love to hear your opinions in the comments, and any tips you have on making the best use of an air purifier. Keeping your air pure can be tricky, especially if you’re dealing with smoke, but it’s a pursuit that’s worth the effort. When your air’s clean, you’ll feel better, breathe better, and rest easier—and that’s definitely worth the investment. The IQAir HealthPro Plus is our choice for the best air purifier for smoke, hands down. It can remove particles that are ten times smaller than what’s captured by other air purifiers—important if you want to completely eliminate every trace of smoke. It is a bit on the large size, but this translates to a wider cleaning area and purer air. The PureZone 3-in-1 True HEPA Air Purifier isn’t the cheapest option on the list, but in our opinion it represents the best value because it gives you more for your money. The charcoal filter is key for smoke, and it’s both quiet and easy to use. It’s an excellent buy at around $100. Can these air purifiers be powered through non-US outlets? Many of them can without any problems, provided you’ve gotten the right adapter for the plug itself. 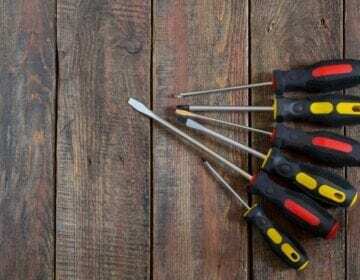 You always do want to double-check, though, and make sure the voltages either match or are close enough that you won’t experience equipment failure. We have an excellent guide on this, here. If you are planning on using the air purifier in another country, you should look at the warranty before you buy. In some cases, simply using the unit with a non-US power supply is enough to void the warranty, even if you were careful about using adapters and didn’t cause any damage to it. 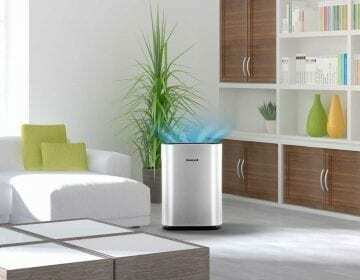 Will these air purifiers remove lingering or old smoke smells? Many of these models will be able to remove all traces of smoke odor from the air, and that includes any odors that have accumulated in the air over time. Having said that, though, that’s not the only place that smoke odors can stick around. Anything that’s porous can absorb odors over time, and an air purifier alone won’t necessarily be able to draw these odors out on its own, no matter how powerful the fan is. If you’ve used the air purifier and still smell smoke, give the room a thorough clean. Start by shampooing the carpets. Anything that’s made of fabric will also likely have trapped some of the odors. This includes upholstered furniture and drapes that are in the room, so remove those and clean them. Now try running the air purifier again, to remove any odors that were kicked up in the process. You should notice a marked difference in the lingering smoke odor. Are air purifiers safe to leave running when I’m not home? Most air purifiers are designed for continuous or near-continuous use, and don’t pose a fire or safety hazard even when they’re used unsupervised. There aren’t any specific safety warnings associated with air purifiers. Just like with any piece of electronic equipment, though, proper maintenance is key to continued safety. Make sure the filters are replaced as needed, and occasionally check the fan intake and clear away any clogs. The most important thing is to check up on the air purifier every once in a while, especially if you tend to just let it run continuously in the background. Your ears and nose will tell you if there’s a problem. If the device is making a whining noise, or sounds labored when it runs, it likely needs maintenance or repair. You should also unplug the device if you smell hot plastic, since this can be a sign something’s wrong with the wiring inside. One other thing to keep in mind is the design of the air purifier. Tall, skinny tower designs are easy to knock over, especially in houses that have kids or pets. If your purifier has recently taken a tumble, keep an eye on it to make sure nothing was damaged inside. Paying attention to potential danger signs can let you catch small problems before they get bigger and potentially save you from needing to buy a new device.